When business opportunities present themselves, it’s often because you’re part of the conversation. And while there are many ways to be that lucky, we have the best way! 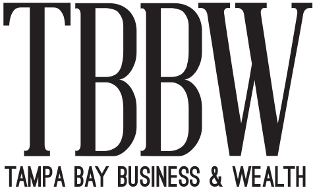 Tampa Bay Business & Wealth (TBBW) magazine is the leading provider and trusted resource for business leaders affecting change in the Tampa Bay region. TBBW delivers in-depth reporting – with a distinct local perspective – on topics that make a difference in our community. 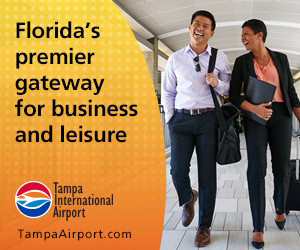 Our wealth coverage will not only provide information for high net worth investors, but will also spotlight the emerging angel investor, venture capital, private equity and hedge fund ecosystem in Tampa Bay. Unlike any other local publication, TBBW gives business decision makers a peek into the people behind the biggest deals – the whole story – from who they are, to what businesses to invest in, to cashing in on the growing tech hubs, to trends and analysis of Tampa Bay’s most important industries – and so much more. It’s must-see content expounding local, pertinent business strategies to help readers continue to experience and achieve success. TBBW, reaching the top decision makers and influencers in Hillsborough, Pinellas, Polk, Sarasota and Manatee counties, not only keeps you in the conversation: it makes you a key player. Each month, TBBW is direct mailed to 15,000 decision makers – as defined by Dunn & Bradstreet. These include business owners, presidents, C-Level executives and senior-level management. This targeted distribution guarantees advertisers a powerful business-to-business audience who wield buying power in both their professional careers and personal lives. Capitalize on TBBW’s unparalleled access and coverage to reach this influential audience.